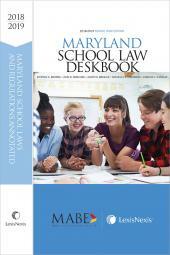 A single, concise volume containing forms and documents conforming to Maryland law, texts of landmark cases, and essential checklists. 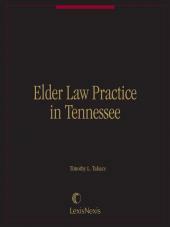 Even more than most areas of the law, elder law tends to be state specific. In Maryland, long-term medical care regulations, health care decision making, and guardianship are just a few of the areas in which state law cannot be subsumed in general statements of majority rules or hornbook law. Yet, at the same time, uniform federal law governs Social Security issues and various consumer protection statutes and housing assistance programs. Elder Law in Maryland provides guidance to both applicable federal law and the unique aspects of Maryland elder law. 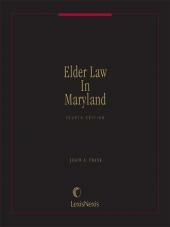 In a single, concise volume, Elder Law in Maryland accurately renders elder law as it currently exists in Maryland. 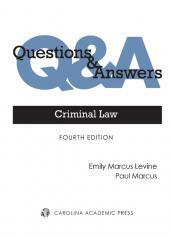 It addresses the nexus between senior citizens and the law at those points most relevant to the legal practitioner specifically and to those serving seniors generally. Using this book as a guide, you can feel confident that you are considering all the options when planning for medical, financial, and quality of life decisions. 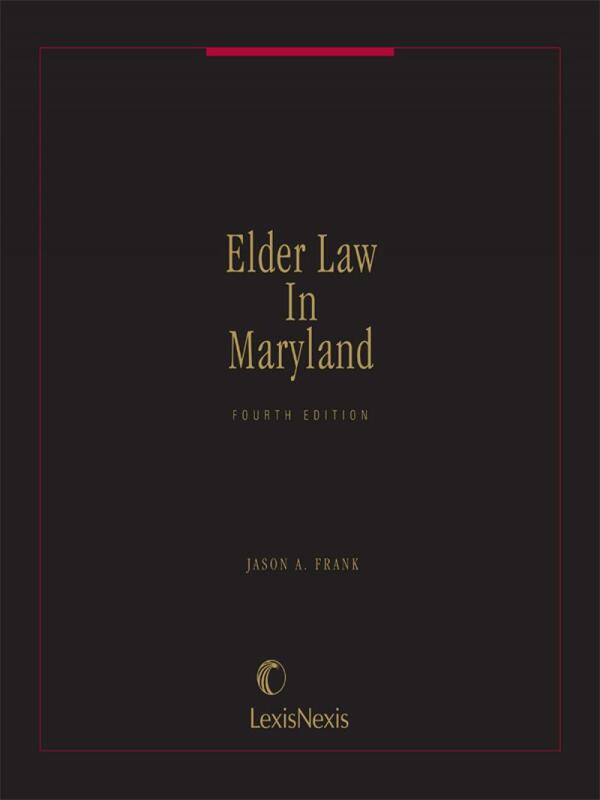 In keeping with its practical focus, Elder Law in Maryland contains forms and documents conforming to Maryland law, texts of landmark cases, and checklists of essential elements for both office and courtroom. Jason A. Frank maintains a private practice in Lutherville devoted exclusively to elder law, and focusing in particular on guardianship, Medicaid planning, and advance directives. He is also an Assistant Baltimore County Attorney, serving as general counsel to the Baltimore County Department of Aging through the Baltimore County Office of Law. In this capacity, Mr. Frank's responsibilities include more than 100 guardianship cases, more than ten dozen affiliated nonprofit organizations and senior centers, three adult day care centers, and the Countyride transportation system. Mr. Frank received his B.A. form Connecticut College in 1976 and his J.D. from New York University School of Law in 1979. 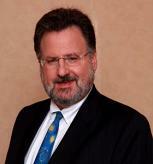 He has published numerous articles on elder law.